I say "[battery]" because I could not keep stacking terminals on the battery itself, and built connector blocks for both the positive and negative battery terminals. Instead of fusing the headlight positive, I'm using an auto-reset 10 amp ATC circuit breaker. The original Ducati Energia is a series regulator, it opens the circuit instead. IMHO these are a good regulator let down by the flaky Voltage reference from the headlight circuit. 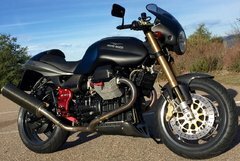 I think I misread this and assumed the Ducati Energia was the stock regulator for the V11 Sport. It is not, correct? I’d be nervous with an exposed positive terminal block. There are some with covers. Like docc I mounted my mini relays in the headlight shell. 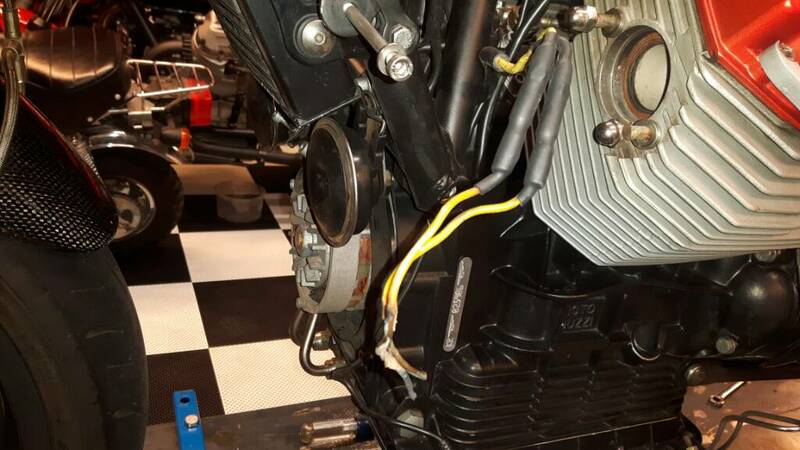 Did you pull a dedicated power wire all the way to the headlight? The Voltage reference is permanently connected to the battery making it more reliable, it only draws about 0.3 milliamps but it will flatten the battery over time. Yep, it takes about 3-4 weeks for my newly installed ESR515 to drain the battery. DAMHIK. But if you put a relay in that circuit it won't, right? On the ESR515, there isn't a separate wire for sensing the voltage, so no where to run a relay switched reference. Couldn't you put a relay in the power line going from the regulator to the battery? 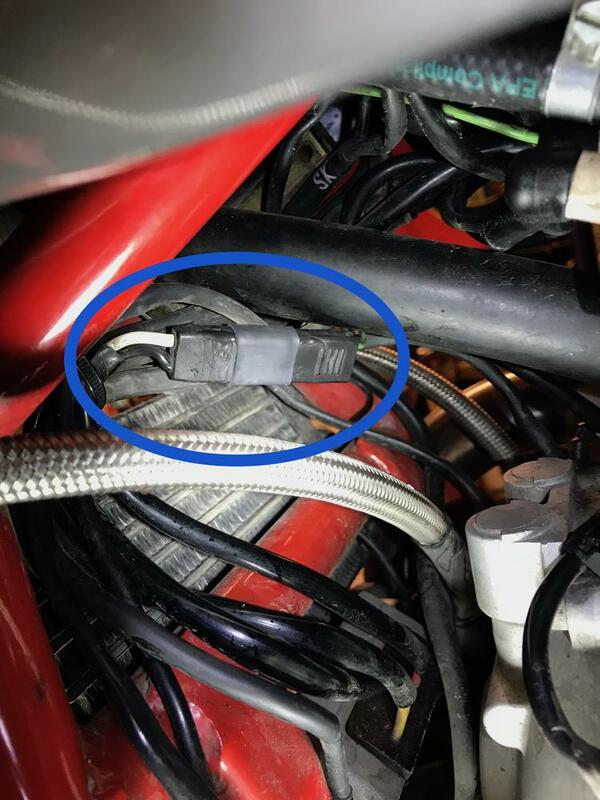 Kinda defeats the purpose of having that nice hard wire connection between the regulator and battery. But yes you could. The drop from the relay and the regulator pushes juice to the battery might be manageable enough. Kiwi Roy should be along at some point to correct me. Which of these wires is the voltage reference one? Hm . . . tough question. The black voltage reference is at another connector on the left side of the frame . . .
My fault was visible and smellable. 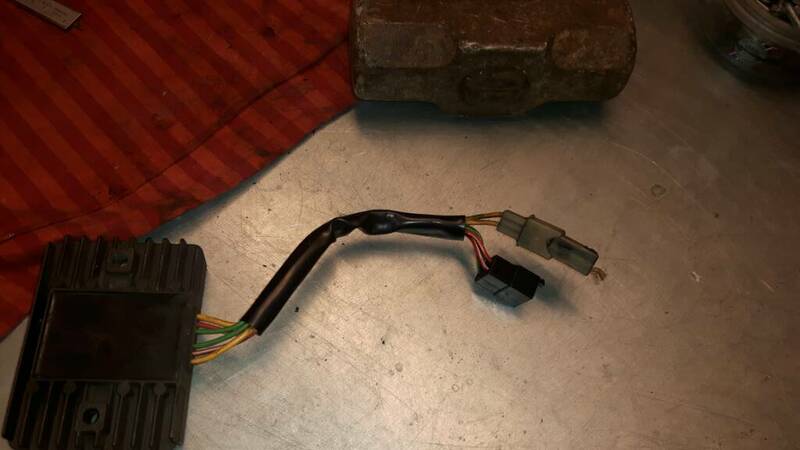 Stator fine, usually 2 bullet connectors not to bad, other connector, see pictures . Just want the best rectifier available? The first thing you have to worry about is fake regulators. So just be careful on eBay. If you're in Norway I guess you're use to having a hard time getting parts? 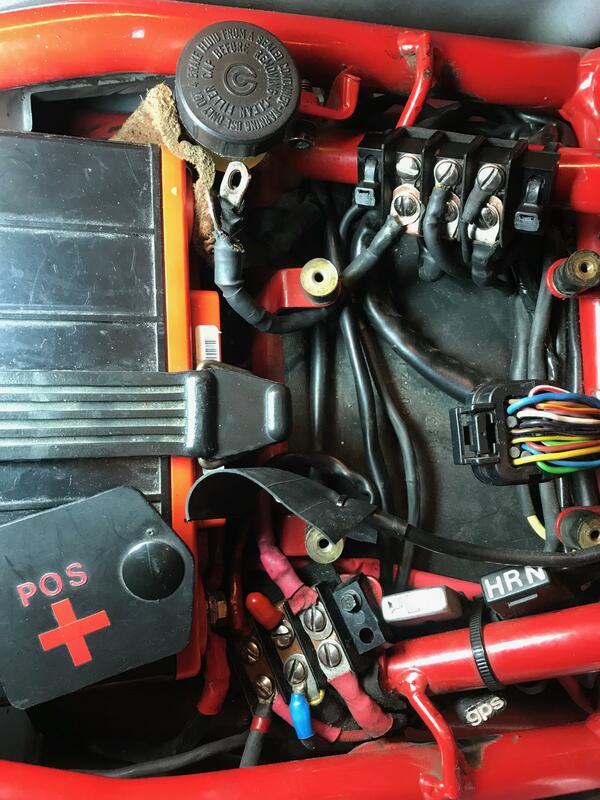 I'm currently leaning towards a Electosport ESR550 which is the MOSFET style although you'd have to put new connectors in (looking at the pictures I think you're already in line for that) and you'll lose your charging light on the dash (unless you hack something) or put a voltmeter on the bike.